Nothing beats the warm comfort of piping hot bowls of rice or soupy noodles after a long day. 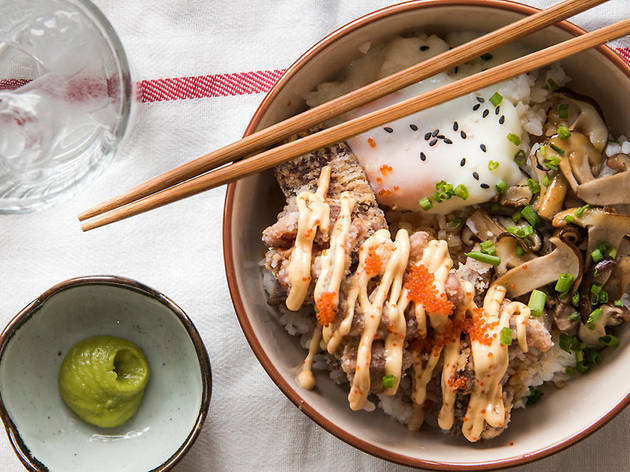 If you're happier spooning rice than slurping noodles, dig into these rice bowls that come with a variety of toppings. 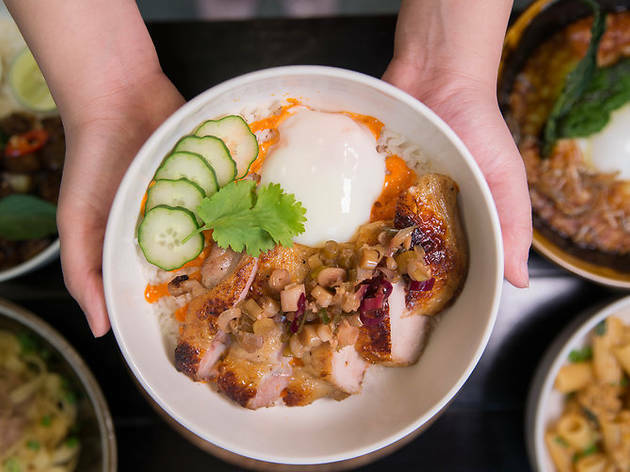 From smoked duck breast slices to juicy chicken thigh paired with jiggly eggs, eat your way through the best rice bowls in KL. 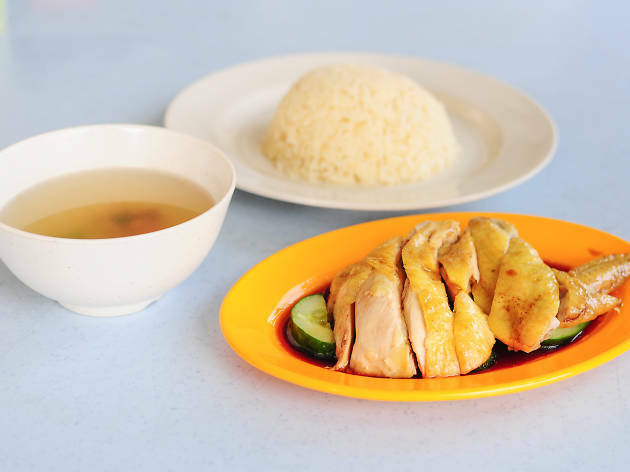 Desa Sri Hartamas has no shortage of eateries, but Mei by Fat Spoon stands out as a popular place when you’re seeking comfort carbs. Not only is the place bright and welcoming, but the dishes here are simple, consistently good and never leave you hungry. 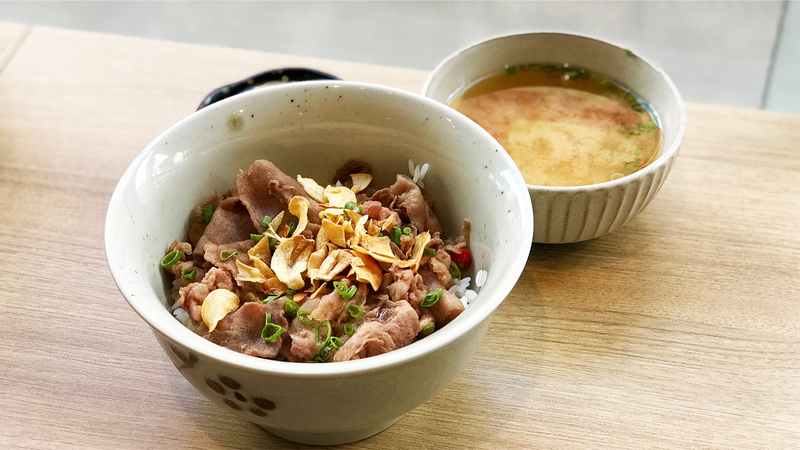 If you were to pick one from the 14 rice bowls on offer, we say go for the ox tongue rice with mirin sauce. 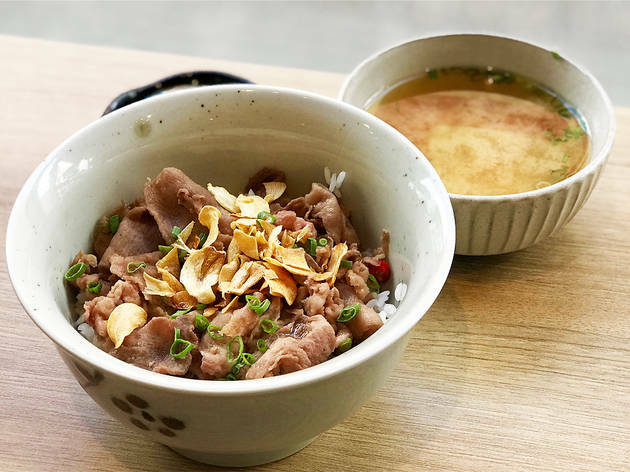 It’s a winning combination of thinly sliced ox tongue, crunchy garlic chips and sweet-and-savoury mirin sauce that’s spiked with chilli for a spicy finish. Add in an onsen egg, and you’ll have a rice bowl that’ll hit just the spot. Oh, how we love thee, Li. With its well-established principle of serving good, unpretentious, updated Malaysian fare (their version of roti babi is exemplary), the rest of the menu follows suit, especially the house rice bowl. 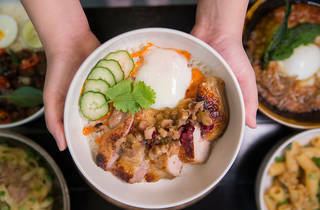 Think a warm, comforting bowl of rice topped with juicy chicken thigh and a wobbling soft egg (pierce it for a glorious, creamy yolk), drizzled with chilli mayo and delicately arranged ginger scallion and thin cucumber slices. Mix it all up, and you've got a hearty bowl you'll find yourself thinking about long after the last chilli mayo-coated grain is gone. We definitely did. Rice bowls are serious business here. If there was ever a concept of comfort in a bowl, you’d find it in their best seller, the Fattie Bom Bom. 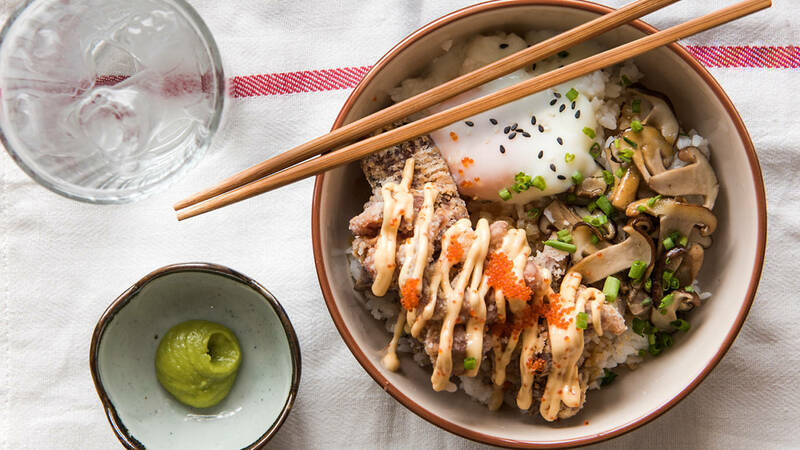 With a name like that, you know it doesn’t hold back – crispy chicken karaage slathered with house-made ebiko sauce (reminds us of chilli mayo), sautéed shimeji and oyster mushrooms, and a poached egg. The crispy karaage is well-seasoned and marinated so you’re already getting heaps of flavour there; but pair that with smoky mushrooms, sweet ebiko sauce and the creamy egg, and you’ll have a meal that calls for seconds even before you’re halfway through. While the pared-down Hartamas restaurant isn't the most colourful, Uokatsu makes up for it with bright (and fresh) cuts of quality sea bream, sea bass, amberjack and more that see a snaking line of impatient customers waiting outside during peak lunch and dinner times. But it's worth it for the mentai rice, a bafflingly simple yet excellent dish. 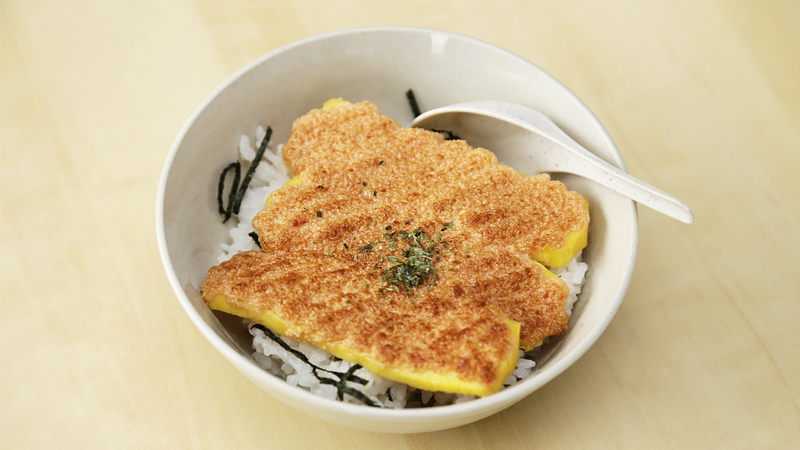 It's mentai on egg on rice, the surface of the egg bumpy from the marinated roe. 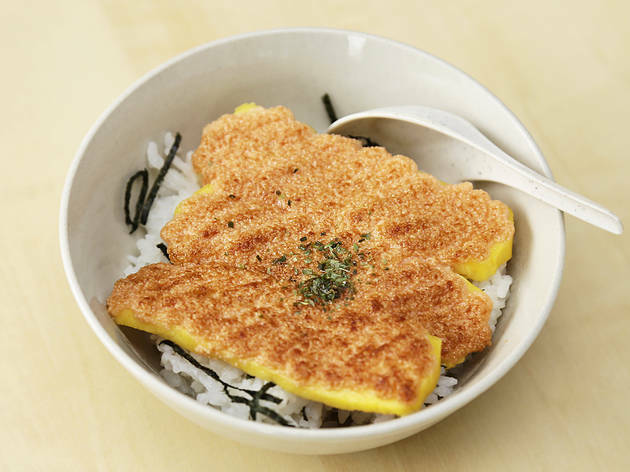 Salty and creamy nuances from the mentaiko meld with the sweet egg, making the sticky rice underneath a noble vessel for the flavours. 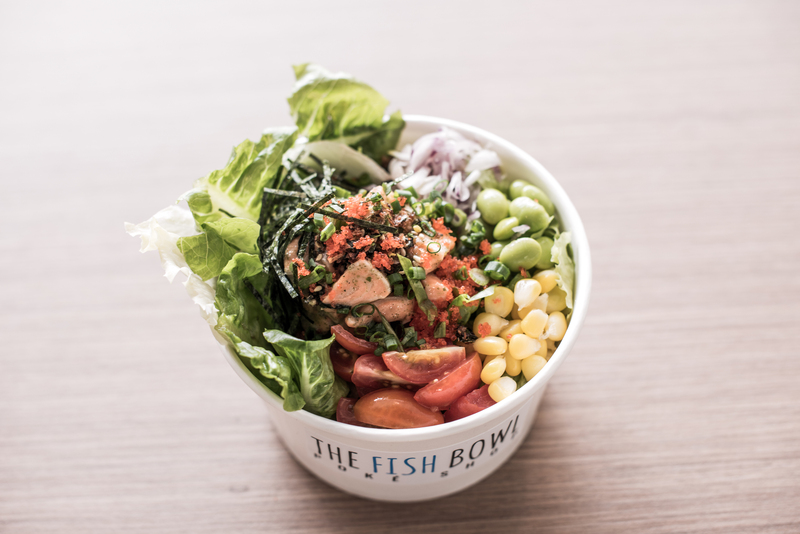 Poké bowls were one of the biggest food trends last year, and their popularity hasn’t waned, as seen from the number of The Fish Bowl joints popping up across the Valley. And there are good reasons why they’re so popular – the rice bowls are free from grease, generously portioned and, best of all, customisable. Aside from the main protein choices of salmon, tuna, chicken or shrimp, you’re given a choice of four sides such as corn, carrots, eggs and edamame, and an unlimited amount of toppings like fried shallots, garlic chips, furikake, as well as flax, chia, sunflower and pumpkin seeds. Although more popular for their pastas, Littlepeople dishes up mean rice bowls too, like the Ducky Bowl. 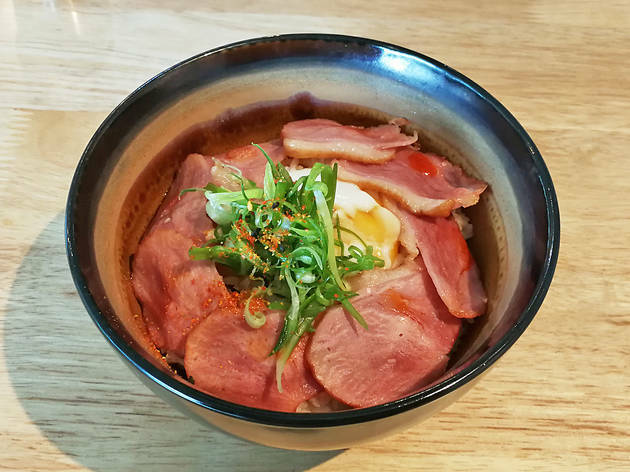 Don’t let its size fool you – this petite rice bowl packs tonnes of flavour with the simple ingredients of smoked duck breast on rice, topped with half-boiled egg, sesame oil and teriyaki sauce. 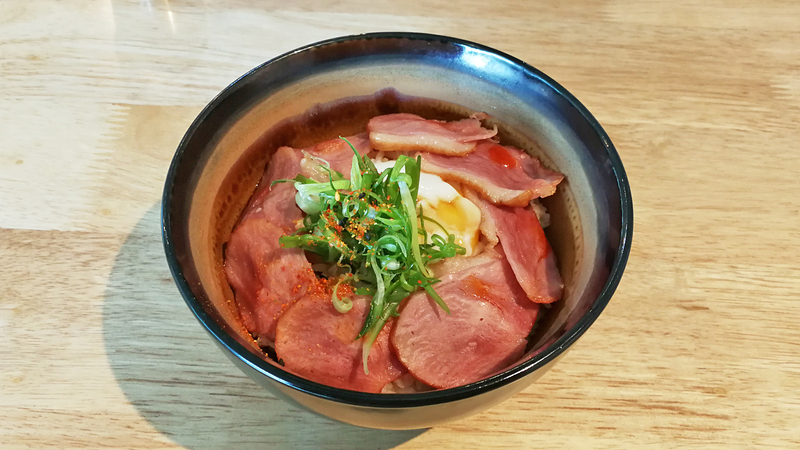 The saltiness of the smoked duck is balanced out with the sweetness of the teriyaki sauce, while the egg draws every element together for an enjoyable meal. Have the dish with a cup of coffee, which they make using beans from Artisan Roastery. 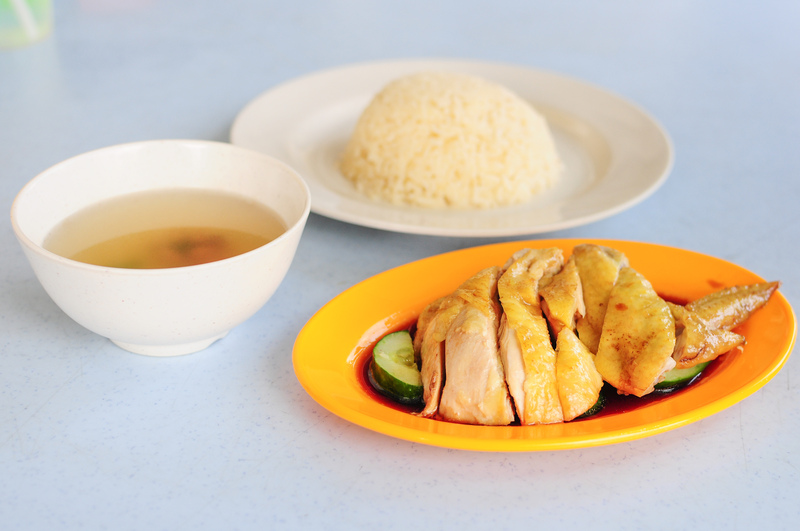 This simple meal of rice, cucumbers and steamed or roasted chicken is one of the most popular dishes across the country; no neighbourhood is complete without having at least one chicken rice shop, which rarely fails to draw in a crowd during lunch time.